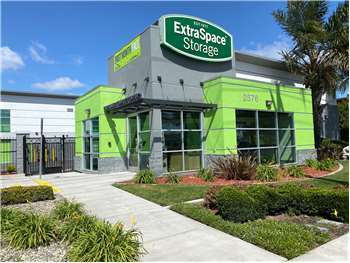 Located on Scott Blvd between Walsh Ave and Martin Ave, Extra Space Storage serves Santa Clara residents near North San Jose, Sunnyvale, and more. Locals will recognize our facility a few minutes south of the NVIDIA corporate campus and a few minutes west of The Home Depot. Are you a college student looking for summer storage or storage while studying abroad? Extra Space Storage is about 2.6 miles from Santa Clara University, providing an easily accessible option! Extra Space Storage is about 4.3 miles from Mineta San Jose International Airport, making us a convenient solution for Santa Clara residents and visitors who need storage units close to the airport. 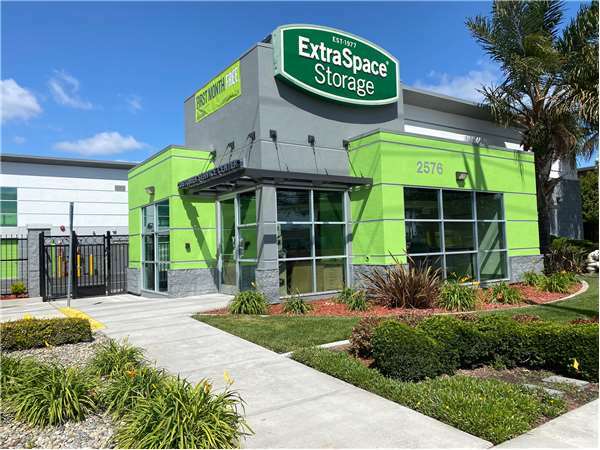 With a large selection of storage units, climate-controlled storage, vehicle storage, and exceptional security, Extra Space Storage on Scott Blvd is your ideal self storage partner in Santa Clara! No matter what you need to store, our Santa Clara storage facility has the space to accommodate you! We have unit sizes from 5x5 to 20x20 with features like first-floor access, drive-up access, and more. With security measures like an on-site resident manager, 24-hour video surveillance, individually-alarmed units, and electronic gate access, you can store valuable items with confidence at Extra Space Storage. Protect temperature-sensitive belongings from Santa Clara's extreme heat by renting a climate-controlled unit. This feature keeps your unit safely between 55? and 80? degrees at all times. Units with climate control are available in sizes 5x5 to 10x30. Excellent customer service. The team really goes above & beyond. I was moving a great distance. Needed a smooth & painless transition. Catherine really made it happen. I was able to rent remotely so that I could move my stuff in storage after business hours. It saved me 2 days u-haul rental. I'm very thankful. My 2nd time renting from this location. Cindy is a pleasure to work with. The units I've gotten (both inside & outside) were great: nice & clean and new looking. I've had no problems renting! This is a very clean storage facility. CIndy is very helpful and cooperative towards your specific needs. You're in good hands at extra space storage in Santa Clara. Cindy and Diana are truly very efficient and the lease papers were filled in fast. We were shown around first, were able to choose the right size of the storage by having a look at different sizes. Diana reserved the storage. Cindy called so we were able to reserve the truck for the move int. I am so grateful to not have to worry about anything, there is an automatic payment set up, she will call if anything changes (like when you get a new bank card and the online payment suddenly doesn't go through, because you forget to mention the new card number :). Thanks Cindy and Diana! Received a crazy increase from a prior storage provider and was forces to relocate immediately (within 3 days) as they provide the increase right before my next schedule payment. After checking several places I decided to check out Extra Space Storage. I'm glad I did! It was a little more than I wanted to spend but overall it the facility was wonderful. The hours of access is great and longer than most. Feel a good sense of security and no crazy rules. I was thank full for the courtesy call from the representative advising my payment was due and offering the direct deduction option. In addition, taking the time to answer any questions without making me feel like an idiot or then having an attitude. I'm hoping the rates stays low and are not raised every year to some crazy amount because I really like the facility. This storage area is in a great location. I just don't like the rent going up every six months, because I pick this place because the rent is what I can pay. But if it goes up I will have to move my storage some where else. Access to storage units from 6:30 a.m. to 10:00 p.m. Sunday through Saturday. Ability to pay automatically or in person with cash, check, cashier's check, money order. The facility is clean and organized. FROM US 101 OR CENTRAL EXPWY: Once you reach San Tomas Expwy head south. Get into the far left lane and continue until you reach Walsh Ave. Make a left onto Walsh Ave. then a right onto Scott Blvd. We are on Scott Blvd, the facility will be on your right-hand side shortly after you pass Bothman Construction. Turn right into our driveway, at the facility with the beautiful landscaping. FROM EL CAMINO REAL: Heading towards San Tomas Expressway turn right onto Scott Blvd, the Wells Fargo Bank will be on the corner. Continue on Scott Blvd, Passing Scott Lane Elementary School. Head over the Monroe Street overpass. Continue thru the light, you should see a Subway at the Martin Avenue intersection and our facility will be located on the left-hand side. FROM LAFAYETTE ST: While driving up Lafayette St towards Central Expressway from El Camino Real, turn left at the Martin Ave intersection, you should see the Home Depot on your right. At the very next light turn right onto Scott Blvd, there should be a Subway on the corner. The facility is located on the left just after you turn, you will see us across from Almeden Press. we're the facility with the beautiful landscaping out front. FROM SAN TOMAS EXPRESSWAY: If you are coming from San Tomas Expressway going towards Central Expressway turn right on Walsh Ave. At the very next light turn right on Scott Blvd. We are on Scott Blvd, the facility will be on your right-hand side shortly after you pass Bothman Construction. Turn right into our driveway, at the facility with the beautiful landscaping.